Nokia's struggles to compete with Apple's iPhone and the Google Android platform continue to take their toll on the beleaguered Finnish handset maker, which announced on Wednesday that it is laying off 3,500 employees. Nokia's cuts were described by the company as a strategy intended to "align its workforce and operations." As part of the changes, Nokia will ax 2,200 employees in closing a manufacturing facility in Cluj, Romania, while another 1,300 employees will be cut from the company's Location & Commerce business in Bonn, Germany; and Malvern, Penn. 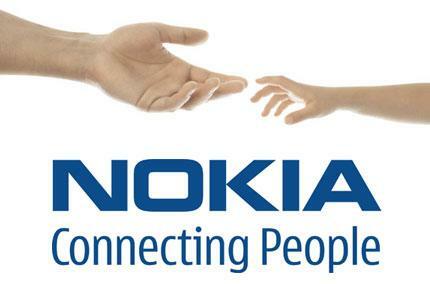 In all, that's 3,500 employees that are estimated to be affected by Nokia's changes. The personnel reductions are expected to take effect by the end of 2012. More cuts are likely to come, too, as Nokia revealed it is reviewing its manufacturing operations in Salo, Finland; Komamrom, Hungary; and Reynosa, Mexico. The company said it will "gradually shift" its focus toward software, with personnel at those facilities expected to be affected in 2012. "We are seeing solid progress against our strategy, and with these planned changes we will emerge as a more dynamic, nimble and efficient challenger," Nokia President and CEO Stephen Elop said in a press release. "We must take painful, yet necessary, steps to align our workforce and operations with our path forward." Nokia has been going through a painful transition under its new CEO, as the company has failed to respond to the success of Apple's iPhone and devices running Google Android. Nokia was once the far and away dominant worldwide smartphone maker, but it has quickly fallen in the fast-growing market. Part of Elop's strategy is to ditch its ailing Symbian platform, and instead adopt Microsoft's Windows Phone software on its devices. The company will release its first Windows Phone devices this year, as Elop has admitted that Nokia is "feeling the heat" to bring new phones to market and stop losing market share. Elop on Wednesday reiterated Nokia's commitment to Europe, in spite of the closings of Germany and Romania. The company is headquartered in Espoo, Finland, near the capital of Helsinki. "In addition to our headquarters, we have a strong R&D presence in Europe," Elop said. "We have four major R&D sites in Finland and two major R&D sites in Germany, as well as Nokia Research Centers and other supporting R&D sites in Europe. Nokia also retains a strong local presence in our many sales offices throughout this region, as well as our operations in Salo and Komarom." Nokia and Apple were previously involved in a series of patent infringement lawsuits, with each accusing the other of violation. That dispute was settled in June with Apple agreeing to an undisclosed one-time payment to Nokia, in addition to ongoing royalties.